RedLettersPH specializes in (SEO) search engine optimization and marketing, lead generation, conversion optimization services, PPC management (Adwords, Bing/Yahoo, LinkedIn, Facebook ads), Google Analytics. Bringing together targeted advertising with Google analytics tools and reports, this company can help you widen your client’s website reach and convert traffic into sales or leads. This start up aims to give its clients realistic and honest advice on how to obtain maximum results for their digital marketing efforts. We make no first-page-on-Google promises because we know it isn’t that simple. You’ll get straight-talking advice and genuine strategies from RedLettersPH. 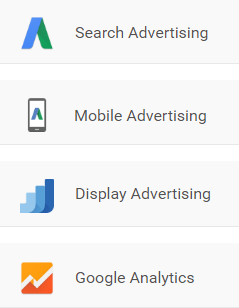 RedLettersPH is a Google Partner that specializes in Search, Mobile and Display Advertising. This means that RedLettersPH has demonstrated increased product performance and expertise in basic and advanced search concepts, including best practices for creating, managing, measuring, and optimizing search ad campaigns across the Google Search Network. Jeffrey Aspacio started out as a blogger in 2007. He started providing SEO services professionally in 2008 for start ups like Manila String Machine and other clients in New Zealand. He has had extensive experience in building niche sites and increasing personal ROI for his web properties. Jeff is Google Adwords and Analytics certified and has completed the Google Tag Manager Fundamentals course. His certifications include Adwords Search, Display and Mobile Advertising. His experience spans a wide range of web services and platforms – blogs, WordPress sites, online stores from a variety of industries like non-profit organizations, online retail, education and B2B corporations. By providing a full range of Philippines-based SEO services including website auditing, conversion optimization, Google Analytics set up and management, Google AdWords and PPC management, RedLettersPH is able to tailor packages to suit its client’s needs and desired outcomes. Whether you need help with set-up, ongoing management, or regular reporting, we can help. Learn more about our extensive range of digital marketing services and online ads optimization services, or just get in touch for advice via the Inquiry Form below.